Data profiling has become the de facto starting point for practically any data-oriented project since it uncovers potential issues and provides valuable insight into your data. Its ability to summarize details about large data sets from different angles makes it a powerful tool for analysts – yet without specific direction, there is a risk of “analysis paralysis” that prevents business objectives from being realized. To fully achieve the power and benefits of data profiling, it’s important to clarify analysis processes and techniques that use the technology. 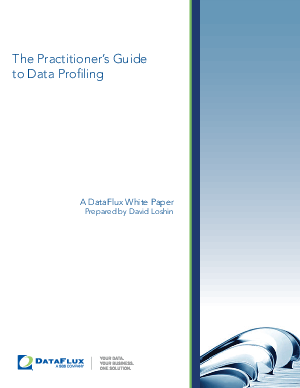 This white paper addresses data profiling techniques that can help the analyst understand the empirical truth associated with enterprise data.